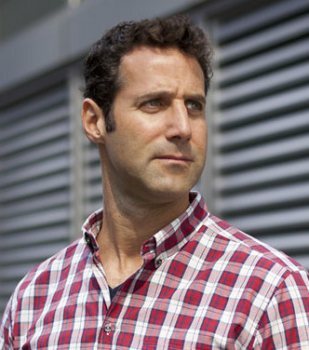 THQ President Discusses "New Start"
THQ President Jason Rubin says yesterday's Chapter 11 bankruptcy filing and acquisition announcement represent a "new start" for the company. Yesterday was a big day for THQ, which filed for Chapter 11 bankruptcy protection and announced a $60 million acquisition bid from Clearlake Capital Group. What it all actually means is a bit tricky to nail down but in a "community message" posted on the THQ website, Rubin does his best to spin it into a positive. "The most important thing to understand is that Chapter 11 does not mean the end of the THQ story or the end of the titles you love. Quite the opposite is true, actually," he wrote. "Chapter 11 is a safety net for U.S. companies. American Airlines is currently in Chapter 11 restructuring, yet I flew back and forth on that airline when I visited Volition two weeks ago. Donald Trump and his companies have been in Chapter 11 four times. You can add to that list household names such as Macy's, Eddie Bauer, the Chicago Cubs, Chrysler, Delta Airlines, General Motors, the Pittsburgh Penguins, Marvel Studios, and MGM, among many others. MGM filed Chapter 11 two years ago, and this year it released Skyfall and The Hobbit, two of the biggest titles of the year. That's what I mean when I say new start!" Rubin also explained that while Clearlake has made an offer for the company - the "stalking horse bid" - the Chapter 11 process means that other companies will be able to make competing offers. That could drive THQ's acquisition price higher but also contributes to the uncertainty about the fate of its studios and IPs, although Rubin downplayed that as well. "Whatever happens, the teams and products look likely to end up together and in good hands. That means you can still pre-order Metro: Last Light, Company of Heroes 2, and South Park: The Stick of Truth," he wrote. "Our teams are still working on those titles as you read this, and all other rumored titles, like the fourth Saints Row, the Homefront sequel, and a lot more are also still in the works." "THQ made headlines today - and I am sure there will be tons of click-grabbing headlines over the next month or so. But what matters to us is not what is happening to THQ right now, but what the company and its teams will make of ourselves after we complete the sale," he continued. "In short, the teams will be unburdened by the past and able to focus on what they should be focusing on -- Making great games." On a related note, industry consultant and former IGDA Mobile Group Chair Kevin Dent claimed that once the THQ acquisition is complete, Rubin will take over as the new CEO of the company. The claim is entirely unsubstantiated but given THQ's disastrous performance over the past half-decade, it's hard to imagine current CEO Brian Farrell hanging on to the reins in any post-acquisition scenario.